Raman is Chairman & Managing Director of Quatrro Global Services. He is widely regarded as the Pioneer and fondly referred to as the “Father of the Indian BPO Industry”. 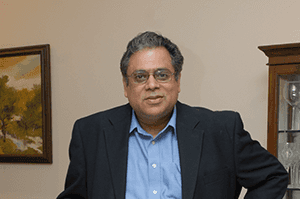 Raman is a pioneer four times over, having successfully led the BPO initiatives of American Express, GE (now Genpact) and Spectramind (now Wipro BPO) before incubating Quatrro which commenced operations in 2007. Raman is the Chairman of Executive Committee of NASSCOM for FY 2017-18, Past Chairman of BPO Committee of ASSOCHAM, Board Member of Indo-American Chamber of Commerce (IACC) and sits on the board of various committees formed by the central and state-level governments of India. 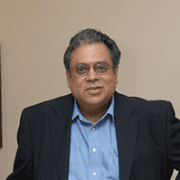 Raman is also the founding member of “Indian Angel Network” – One of the largest networks of angel investors in India.